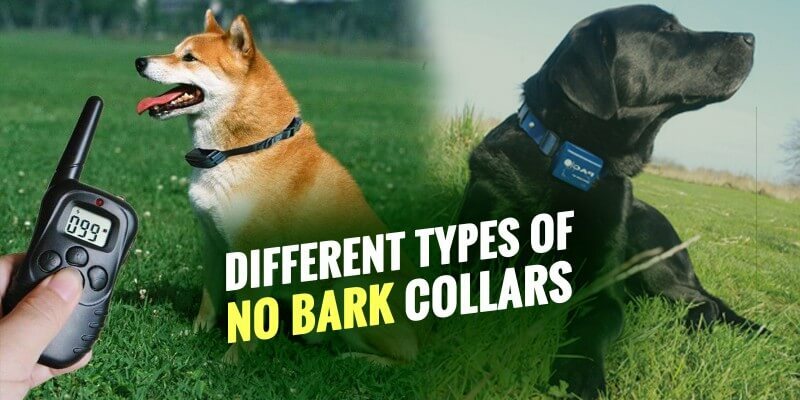 No bark dog collars are devices embedding a microphone that triggers a static shock, unpleasant smell or sound as soon as the dog starts barking. Used properly over few days, bark collars condition your dog to stop nuisance, excessive and unwanted barking. They remain painless for all dogs, humans and the environment. No bark spray collars are harmless and completely legal, it is like poking a your teenager when they misbehave. We recommend you avoid using shock collars on puppies; instead, train your puppy using positive reinforcement. Young dogs still have a lot to learn and you must put in the time and effort it takes to succeed. 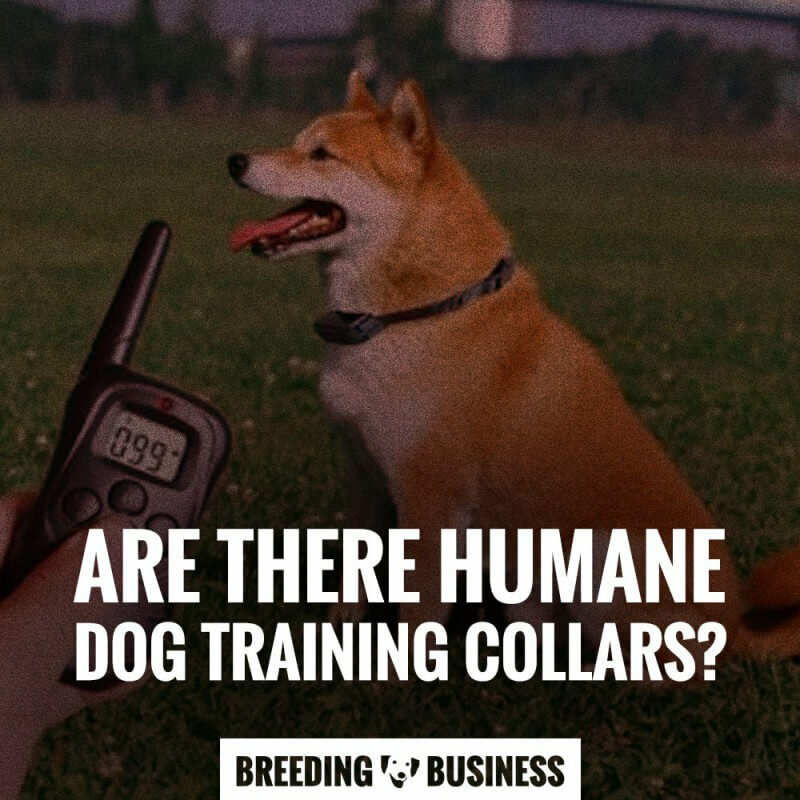 If you decide you want to use a training collar, go with a spray collar or a vibrate dog collar. A great study by Schalke & Al. did show that reasonable handlers who used e-collars smartly kept their dog free from long or short-term noticeable stress. From this the researchers concluded that the dogs who could clearly associate the shock with their action (i.e. touching the prey) and as a result were able to predict and control whether they received a shock, did not show considerable or persistent stress. In order to choose your no-bark collar, you will have to figure out what kind of anti barking device you are after: spray, ultrasonic or static shock collar? Each type is more suited to some situations better than other. The anti-bark spray collar is particularly recommended for puppies since other methods may be found quite harsh by dog owners. Most will usually start off with a spray bark collar as a gentler approach to training collars. Used with pups and dogs, the ultrasonic collar will send out ultrasonic signals that only dogs can hear. This will be triggered only when the dog starts barking thanks to the embedded microphone. Most quality devices offer different levels of ultrasonic sound so you can see which one(s) work best with your dog. These devices are amongst the best bark collars. Yes! Most dog training collars nowadays are safe to use on your adult dogs. Considered less efficient on older and bigger dogs, the anti-bark vibration collars are amazing to be used on puppies and smaller breeds. Indeed, they are a safe and humane way to refrain your dog from barking. Very easy to use and to setup these collars are effective and provide results quickly. The only issue is that the vibration, as strong as it can be, will not suffice for many dogs and there are not many models in this category of bark collars. We often view small breeds and especially puppies from smaller breeds as extremely fragile and therefore hesitate to use a regular anti-bark collar. Indeed, some animals are feebler than others and require specific measures. You may start by training your dog differently or opt for a low-intensity device such as ultrasonic collars or vibration collars. The best system for small dogs stays the anti-bark spray collars as you cannot really misuse or overuse it! Anti-bark static shock collars are the preferred anti-bark solution according to many trainers and many pet owners. There is a wide-range of devices available for consumers so you can pick the most suitable collar to use to correct your companion’s barking. You do want a warning tonality available ideally so your dog hears a tone before being punished and he will quickly learn to stop barking as soon as he hears that tone to avoid being shocked. You do not necessarily need 100 levels of intensity in your dog’s collar but 10 are the minimum required to be able to work effectively. 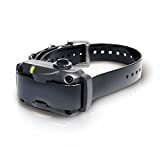 Thanks to its BarkLimiter system, this top quality waterproof and lightweight Garmin anti-bark collar detects barking using the sound but also by the throat vibrations, virtually removing shocks because of other noises. 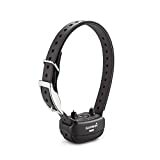 On top of the BarkLimiter technology, this wonderful Garmin BarkLimiter Deluxe collar boasts the Autorise technology: the collar starts at the lowest level of correction, and gradually rise until the dog stops barking. After an extended quiet time, the collar will reset itself to two levels below the dogs maximum level reached. This is extremely intuitive for dog owners who do not know how to deal with this kind of devices. This Garmin anti-bark collar is our favourite, from far! The SportDOG NoBark 10R collar has been designed to interrupt your dog’s barking pattern and train them, not to punish them. There are several mode your can select from, including: Temperament Learning, Progressing Correction, or User-Selected Correction. SportDOG’s PerfectBark technology offers a firm, fair and consistent bark control that requires both vibration AND sound to start a correction. If your dog barks more than 15 times within 80 seconds, the Bark Control Collar will automatically turn itself off for 3 minutes. DryTek Technology makes it submersible up to 25 ft. The PetSafe Deluxe Anti-Bark Collar exists in two models, one for Little and one for Big dogs. Both will let you customise your anti-bark dog collar with a wide choice of skins and collar straps! Boasting a choice of 5 vibrant colors, all the accessories will exclusively fit your PetSafe Deluxe Little Dog Bark Control Collar. Note that they are sold separately. The PetSafe Deluxe Collar start with a low correction and if the barking continues, the correction intensifies gradually. It automatically stops after 80 seconds for safety measures. 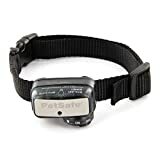 Another PetSafe great product here, the PetSafe Vibration Bark Control collar is the perfect device for the owners who are not mentally ready yet to use electric shocks on their dogs. Indeed, this Vibration Bark Control collar from PetSafe uses vibration stimulation rather than electric shocks so on the plus side, it will not be as harsh, but on the minus side, it will probably take more time to remove the nuisance barking from your dog’s behaviour. In other words, its strength is also its weakness. Vibrating Collars are the newest form of stimulation and are one of the gentlest, softest methods available today. The PetSafe Deluxe Anti-Bark Spray Control Collars is a one size fits all anti-bark collar that automatically detects barking and releases harmless spray. Very practical, it has a gauge that lets you see the spray left and also a low battery indicator. It is delivered with one unscented can of spray and you can buy PetSafe’s Citronella version, the scent sometimes works better on some dogs. The Dogtra YS-600 Yapper Stopper is a fully waterproof no-bark collar designed with the same top-quality electronics found in the popular Dogtra remote training collars. These devices activate from the vibration of the dogs’ vocal cords and you can adjust the correction using the 7 levels. The Dogtra YS-300 is for small to medium dog breeds while the Dogtra YS-600 is for large to giant breeds.